Few can argue that the U.N. possesses the most ambitious and complicated mission and stakeholder population of any organization in existence. The United Nations Secretariat employs over 15,000 staff around the world to pursue the mission goals set forth by the Member Nations, under the leadership of the Secretary General. 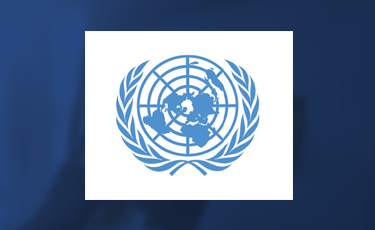 A historic organization established in 1945 during the aftermath of World War II, the UN attempts to save succeeding generations from the scourge of war, to reaffirm faith in fundamental human rights, in the dignity and worth of the human person, in the equal rights of men and women and of nations large and small, and to establish conditions under which justice and respect for the obligations arising from treaties and other sources of international law can be maintained, and to promote social progress and better standards of life in larger freedom. As with other large, long-standing organizations, it must adapt and change to remain effective and relevant to meet the needs of its stakeholders – and few can argue that the U.N. possesses the most ambitious and complicated mission and stakeholder population of any organization in existence. Beginning with Secretary General Kofi Annan and currently championed by Secretary General Ban Ki-moon, the concept of ‘mobility’ within the Secretariat staff workforce current exists as one of the largest strategic change initiatives in the history of the organization. Staff positions are categorized into six levels by the severity of their local environment and working conditions. The most coveted positions exist within headquarters locations, such as New York and Geneva, while other positions exists in locations where it is explicitly not safe to bring one’s family. Historically, movement between these levels has been minimal during the course of a staff member’s career, thus creating many internal problems for the culture, morale, and overall effectiveness in delivering the multitude of U.N. missions. To address this issue, the Secretary General and many Member Nations want to implement a policy of ‘mobility’ whereby staff will be rotated around the world and between levels to ensure a more rounded, knowledgeable and effective workforce. The U.N. Secretariat Office of Human Resources Department (OHRM) was tasked with developing an approach to defining the policy for mobility, as well as creating an implementation plan. While a daunting task by itself, the underlying tenets to define mobility were in dispute among the member nations, though directed by a singular vision set out by Ban Ki-moon. Thus, OHRM had to clarify and assist to de-conflict the disparate viewpoints, before it could move forward to propose a single policy approach and implementation plan. As a result, the U.N. OHRM engaged the support of the Strategy Management Institute to help work through several challenges. First, the team identified the ‘logic model’ of stakeholders and their desired outcomes. A large part of the challenge resided in the multi-stakeholder landscape and the differing viewpoints of what each wanted and valued from a mobility policy. This outcome modeling established the arguable ‘north star’ to which all resulting efforts were to focus. Second, the team modeled multiple strategic scenario models. Based on the methodologies of multi-scenario planning, logic models and strategy mapping, the group was able to articulate three separate approaches to a mobility policy, as well as the underlying implementation plans. Third, the team performed extensive analysis and planning to each scenario that included risk analysis, work stream project planning, performance measurement identification, and effectiveness analysis. As a result, the U.N. OHRM team possessed a clear mobility strategy model set that emanated from a singular view of stakeholders and outcomes, which were then driven by three distinct policy options and underlying implementation strategies. Each model was then assessed for risks, the risks were embedded in the implementation planning, performance measures to track implementation progress and outcome achievement were created in a scorecard structure, and organization constraints were applied (e.g. project resources, budget resources, IT resources, etc.). The U.N. OHRM team was able to present and articulate the multiple strategic approaches to mobility and argue the relative effectiveness of each. In addition, the team was able to articulate the relative risks involved with each approach, the impact of constraints on the implementation of each approach, and how the implementation and strategic governance would occur for each. In the end, the strategic modeling provided the U.N. Secretariat leadership, Ban Ki-moon and the member nations, with a transparent, easy-to-understand, defensible set of strategic options – and the assurance and comfort to know that the chosen path could be implemented and managed. Multi-stakeholder organizations present a challenging governance puzzle. Knowing which strategy to implement requires clarity of what outcomes are desired and by whom. Picking a strategic option necessitates a complete analysis that includes outcomes impact, risk tolerance, and ability to govern. Only by using the best-in-class methodologies can all such elements be brought together in a cohesive model to enable what all leaders want: information to enable the best decision.